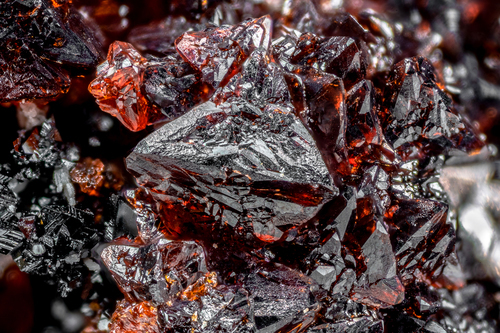 Henritermierite: Mineral information, data and localities. Clove-brown to apricot-brown; lemon-yellow to pale yellow in thin section. Named in 1969 by C. Gaudefroy, M. Orliac, F. Permingeat, and A. Parfenoff, in honor of French geologist, Henri François Émile Termier [1897-1989]. Garnet Group. The manganese analogue of Holtstamite. 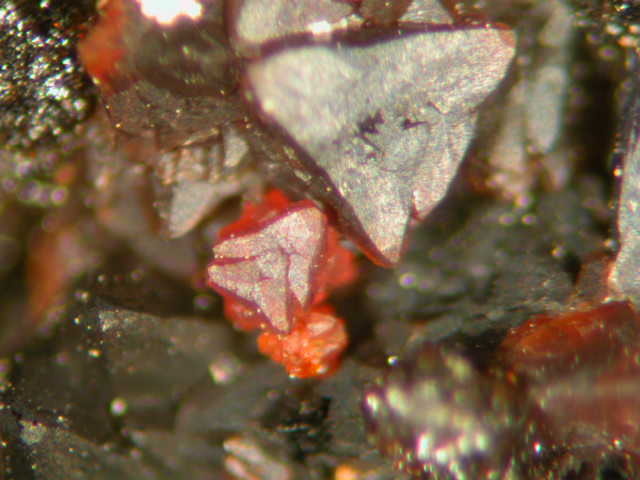 As pseudo-octahedral crystals, to 3mm, and as aggregates of small grains. Calcite 4 photos of Henritermierite associated with Calcite on mindat.org. Marokite 2 photos of Henritermierite associated with Marokite on mindat.org. Hausmannite 1 photo of Henritermierite associated with Hausmannite on mindat.org. Ettringite 1 photo of Henritermierite associated with Ettringite on mindat.org. 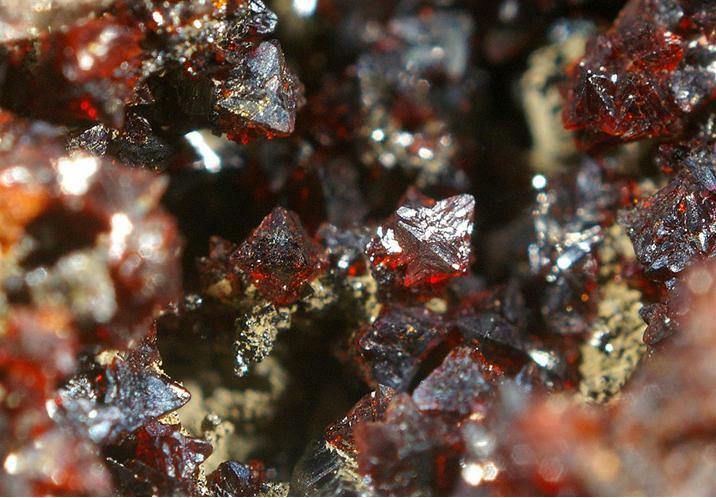 Gaudefroy, C., M. Orliac, F. Permingeat, and A. Parfenoff, (1969)L'henritermierite, une nouvelle espμeceminerale, Bull. Soc. Fr. Mineral, 92, 185-190. Bulletin de Mineralogie: 92: 126-133. The following Henritermierite specimens are currently listed for sale on minfind.com. Von Bezing, K. L. et al. (1991) The Kalahari manganese field: An Update, Mineralogical Record 22(4) 279-302;; European Journal of Mineralogy: 17(2): 375-382.